Center Township, Pennsylvania > Message from Chairman Bill DiCioccio, Jr. Message from Chairman Bill DiCioccio, Jr.
- Message from Chairman Bill DiCioccio, Jr. Working alongside the Board of Supervisors, I am proud of the many public and community services our Township provides to our residents. Providing these services, while holding the 10.5 mil tax rate is a great feat. We work together for the strength and prosperity of our Community. Our Recreation Department provides many programs and projects throughout the year. In 2015, Center Township received a recreation grant in the amount of $22,627.00 for Park Equipment. In addition, the township expensed approximately $75,000.00 in upgrades to the park, including the installation of several pieces of equipment which are handicap accessible. Shredded Rubber Mulch was installed around the new equipment and new grass was planted throughout the play area. These upgrades enhanced the existing recreational opportunities for the community by upgrading safety standards on existing play equipment, replacing sub-standard play equipment and installing safety surfacing in order to be ADA Accessible and Compliant. Public Safety is also a high priority to the Supervisors for the continued safety and well-being of the community. We are currently coordinating efforts with the Volunteer Fire Department for the upgrade of equipment and to provide a more efficient use of these assets. The Township annually budgets funds for equipment, vehicles and resources in the Police Department. Some of these have been funded through grant funding, when available. 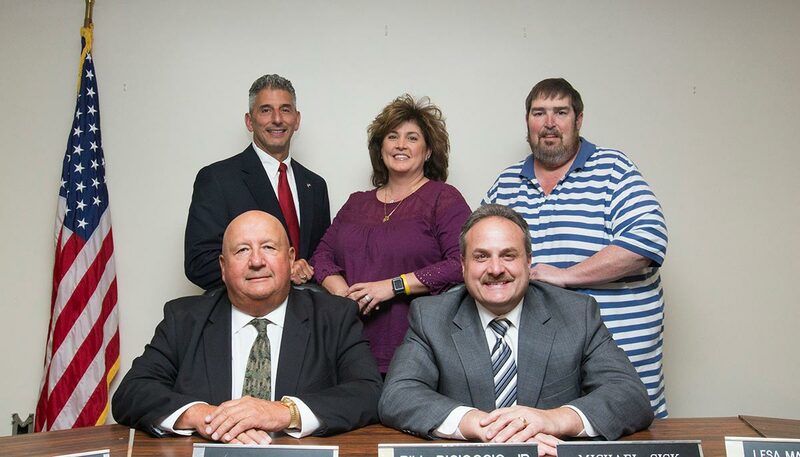 The Township works together to coordinate all municipal entities including the Township Office Staff, Police Department, Road Department, Fire Department, Water & Sanitary Authorities, Planning Board, Code Enforcement and Zoning Boards. The coordination of these services is vital to the continued growth the Township will continue to experience. The Shell Project is expected to bring an influx of residents to the Township. Supporting this growth and maintaining the quality of life that the residents enjoy is a priority for the Supervisors. Efforts are also being made to attract new businesses and restaurants. It is hopeful that the recent sale of the Beaver Valley Mall will lead to a major commercial redevelopment of that area. The Township applied to PennDot for a Multimodal Transportation Fund Grant for the construction of a loop road adjacent to the Beaver Valley Mall. The proposed extension of Wagner Road will provide continuation of public road access from the current Stoney Ridge Development north to the end of existing Wagner Road Extension and connection to the mall entrance near the former Best Buy Store. The Township is also exploring the possibility of a potential developer completing the road and the mall area development, should the grant be denied. This “Ring Road” has been a long-term project for the Township but the funding was not available. The Township has also been faced with the implementation of an unfunded mandate by the State of PA known as the MS4 (Municipal Separate Storm Sewer System) Program, with regard to storm water management. This has been a significant burden to Township Office Staff and the Road Department. However, last year’s audit by the State confirmed that the Township is in compliance with all current regulations and is administering the MS4 Program as required. Compliance with this program has been managed by careful fiscal planning and utilizing in house resources. Over the last 20 years, the Township has only raised taxes twice and remains one of the lowest tax rates in Beaver County, which we feel is an accomplishment, considering the services that are provided to our residents. We will continue to make every effort to maintain taxes at current rates, and not cut amenities, despite many everyday challenges such as insurance, roadways improvements, infrastructure repair and increasing State Regulations. Growth is everywhere, however, our values remain the same: Raising a Family, Living, Working in a Safe and United Community.